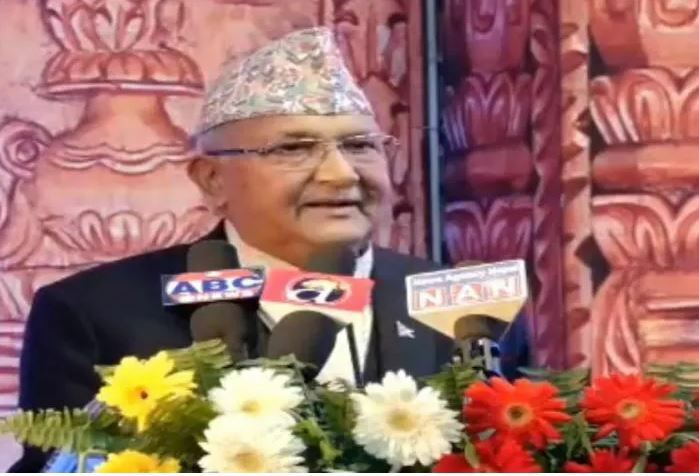 KATHMANDU (23 May 2018)- Prime Minister KP Sharma Oli has said the unification between two communist parties has created a base for stability, peace, good governance and prosperity in the country. While inaugurating the General Council Meeting of World Federation of Democratic Youth (WFDY) here today, the Prime Minister and Chair of recently formed Communist Party of Nepal through merger of the then Oli-led CPN (UML) and the CPN (Maoist Center), promised the creation of a strong foundation to materialise the slogan of ‘Prosperous Nepal, Happy Nepali’ within the next five years. As he claimed, the government new policies and programmes were directed towards that end. According to him, the then left alliance of both political parties achieved a majority in the recent elections and they have already completed the people’s important mandate for the unification to address people’s aspirations for peace, prosperity and stability. As he claimed, the unification was itself a positive message to the world. Also speaking on the occasion, Foreign Minister Pradeep Kumar Gyawali he said the course towards prosperity would be completed on the basis of Nepal’s independent foreign polices and establishment and strengthening of mutual and bilateral ties with neighbours and other countries in the world. The meeting organised in the coordination of Youth Association of Nepal and chaired by WFDY president Nicholas Papademetriou is attended by representatives from various countries in the world. WFDY is a non-governmental organisation based in Budapest of Hungary. The organisation founded on November 10, 1945 says that to unite the youth of the world to fight against imperialism for lasting peace is its mission.